Hunter Walk wants to kill the cc & bcc. We got rid of even more. Ok, we didn’t exactly ban email. We still have accounts, primarily for external communication. But, people are also more than welcome to leave them on for notifications from internal apps. Email should not be used to ask people questions. Whose responsibility is it to remember whether the question has been answered? How long before I bug you again for your answer? Why don’t you think my question is good enough to answer? Inherent in this usage of email, is the creation of a culture where no one has to work as long as I can push off my work on you to answer my email. At Primeloop, we have a couple different ways to ask each other questions, but there is a higher/deeper level thing that influences the best space for the question. Is the question related to ongoing work on something? Is it a request for general feedback from multiple people? Are you asking someone to make a decision for you? Are you blocked by needing an answer? etc. So, I’ll get back to this one below. We use hackpad to store any information that should be searchable and isn’t itself an action item. Dropbox is for storing 99% of our files, especially now that we can have personal and business accounts connected at the same time. Email should not be used to ask for feedback (on documents, on ideas, on content, on strategy, etc.) This really starts to get into the politics and games and positioning that Hunter was describing in his plea to kill cc and bcc lines. Not only is the feedback generally poorly incorporated into the original information, but the responses and forwards and bccs and politics of the whole experience make a mess that is nearly impossible to detangle even when everyone is on their best behavior. Email should not be used as a todo list. Actual work should exist outside of an inbox. People send over all kinds of other work for other people to do, while staring down their own insane inbox, and wonder why no one ever gets back to them with that list of 3 things I need from you. 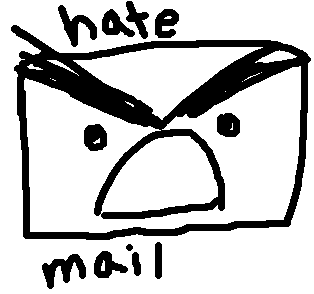 When this gets combined with any of the other anti-patterns for email it gets really messy. In other words, an email starts out as a request for feedback, but somewhere along the way someone on the thread throws in a random sentence telling someone else on the thread that they should do X to help move something forward that the request for feedback triggered. Good luck finding that “task” again after the email thread takes two more turns and another file gets attached, and then gets forwarded to someone else’s boss. Trello is for everything that can be archived as done once it is, well, done. At Primeloop, anything that can and should be considered “done” at some point, goes into trello. This not only impacts email, but even translates over into our usage of slack (team chat) and hackpad (wiki). Before poking anyone else to let them know you need something from them, the task should first exist as a card in trello. Then, it is always extremely clear whether something is considered “waiting”, “in-progress”, or “done”. And, since we are all assigned to these various tasks at different stages along their progress, it is extremely clear to me at any given time exactly what I need to do, and what other people need me to do to unblock them. 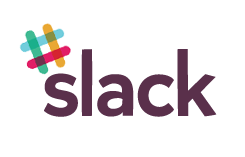 Slack is for chat, culture, connecting, sharing, and catching notification from other apps. 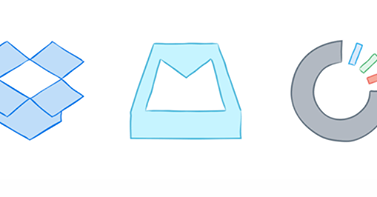 Email, can be used for more private communication, and reporting to others on your progress. But how much valuable information is locked up in all of these private threads? Workingon is for sharing what you’re working on, and discovering what your team is up to. At Primeloop, we have found that it is motivational for everyone in the company to be able to see what everyone else is working on at any given time. It’s helpful for two different reasons: (1) If I see someone diving in on their next task, it can trigger a reminder that I had some thoughts that might be interesting for them to consider while working on that task. (2) When I see other people having an awesome day, it inspires me to crank harder. Plus, our stand-ups are much faster since we can skip that whole section. p.s. I ended up having a really fun conversation about this story with the folks over at the RocketshipFM podcast. You can listen over here. I get to help entrepreneurs survive and thrive while building their ideas and teams.